so, i thought about the fact that diwali and christmas are nearing in on us , and just as in any festive season prices of gadgets are going to go a little down , so why not make the best of the opportunity and give your loved ones a taste of technology , all items in this post are available at flipkart.com and i will include a link to the same ,this list is for inexpensive gifts that are both useful and cool . This cool looking gadget is an mp3 player , that claims to have a 6 hrs Audio Playback ,USB-based Charging so all you need to do is plug it in your laptop/computer and it starts charging ,no need for extra cables with 2 gigabyte storage capacity you can store lots of tunes , ideal for extensive exercise sessions and for also light listening there is also a clip on the back so you can clip it on your pocket or belt.also comes with with 1 Year Philips India Warranty Philips India Warranty and Free Transit Insurance. Click the buy button below the colour of your choice to go to the flipkart website.This also has an offer for a Free ,Philips Sports Ear hook Headphones worth Rs. 499 , Perfect combo ? if you know someone who could do with a light portable hassle free wireless mouse for their laptop or computer , look no further and give them this microsoft arc touch ,it uses 2 x AAA Batteries to power it up , yes , some people would consider it a bit costly for a mouse but with 3 Years Microsoft India Warranty , Free Transit Insurance ,5m Wireless Range, 2 Programmable Buttons and Programmable Double-tap Region within The Scrolling Region, i would say it is a pretty good bang for the buck.click the buy button to go to the flipkart website. Those looking for a cheaper ,but still cool looking mouse , go for Microsoft Optical 100 USB 2.0 Mouse (Black) , My take ? looks gorgeous and at this price point it is absolutely a steal. again as with other product it comes with a 2 Years Microsoft India Warranty and Free Transit Insurance.click the buy button to go to the flipkart website. Huge choice of colours ,8 gb storage space , wearable and really portable oh, and stylish these are the words that come to my mind when i saw this line up , a perfect gift or both geeks and non-geeks for me ,personally , its a want-want pendrive....The Product comes in a reusable carrybox .but that is not the best part , the best part is that A portion of the proceeds goes to CRY- Child Rights and You for education of underprivileged Indian children, you are not only gifting one person but two at the same time ! , need i say more? 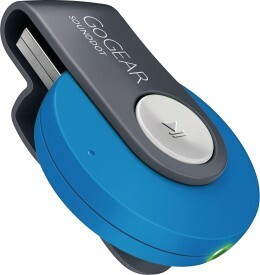 click the buy button to go to the flipkart website and grab your pendrive , you may as well give it as a gift too :). This product is a gadget for the people who need a constant juice for their mobile phones.it is a usb charger that sports a 6000 mAh Capacity Lithium Ion Polymer Battery , an inexpensive yet perfectly usable device it will get you through if you are a traveller and need a battery extender , a great gift to give if you have a friend or a relative who has to travel a lot . click the buy button to go to the flipkart website .